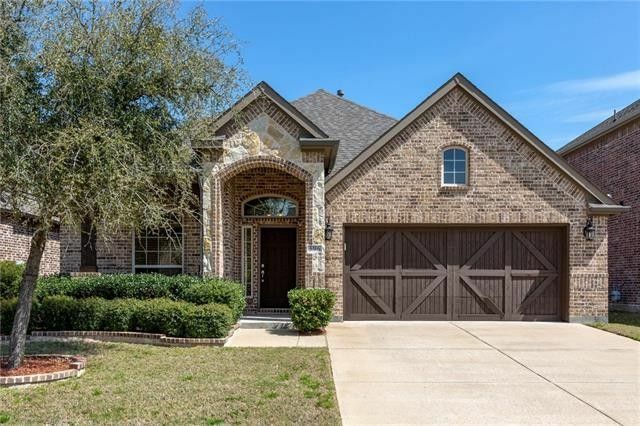 This 1.5 story Stone Creek beauty features a flexible floor plan, high ceilings, hardwood flooring and split bedrooms. The elegant Formal Dining makes a handsome Study. The open concept Kitchen includes granite counters, stainless appliances including a gas cooktop, breakfast bar island and corner pantry. The focal point of the Family Room is the floor-to-ceiling stone fireplace. The spacious Master suite boasts a sitting area and luxurious bath with dual sinks and granite vanity. The upstairs Game Room has a full bath and could be used as a Guest Suite, Home Gym, Media, Play or Craft Room. The community pool is a short walk away, other amenities include greenbelts, trails, ponds and a park with playground. Directions: From I-30 or SH-66: North on Goliad (SH-205), Right on Featherstone, Left on Miramar, Home on Right.